In Reciprocity Nico Couck explores the possibilities of the back-and-forth motion. Be it in physical energy, sounding textures, or even in the performer’s approach to the instrument. How can constantly interpolating gestures become relevant and substantial in musical practice? 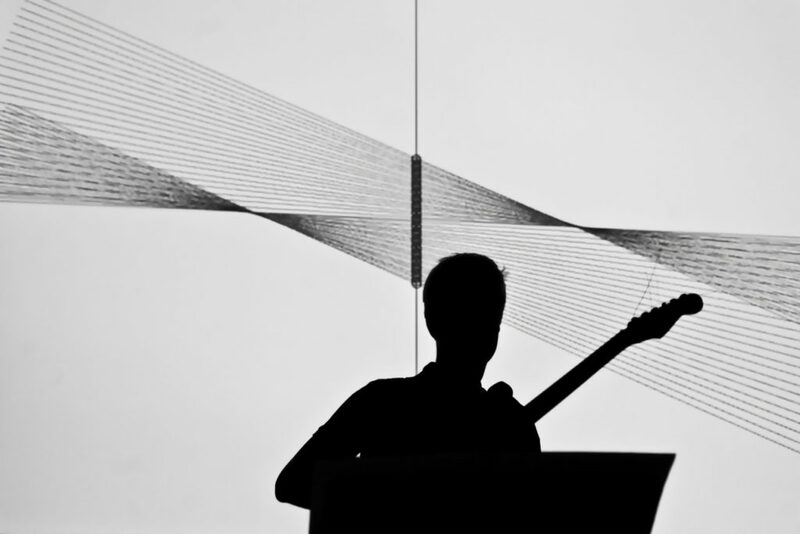 Simon Steen-Andersen’s work transforms musical information to visuals in the opposite way of Mark Applebaum’s work. Johannes Kreidler creates a multi-dimensional space of sounding and ‘außermusikalischer’ motion – while Clemens Gadenstaetter’s music balances on the verge of instrumental sonorities and spoken word. Marko Ciciliani comments and questions both the pop and contemporary music scene, using The Beatles’ Yesterday as point of reference. And finally, new work by Stefan Beyer in which the semantics of sound production are compromised. This concert and tour by Nico Couck is made possible in large part by a grant from the Harry & Alice Eiler Foundation.